This desktop is set up in a screen resolution of 1920 x 1080. 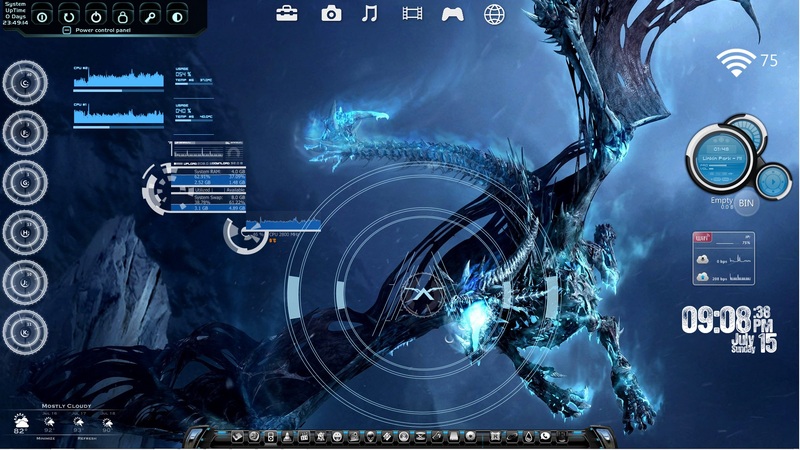 This desktop has modded Rainmeter skins. All skins should work. I recommend that you download the complete packages of the skins used because they had to be thinned down considerably because of the file size. If you have difficulty with any one skin just download that skin from the link provided. Credit goes out to all the original designers for their hard work. All wallpaper & fonts included in the @Resources folder inside the package. Rocketdock & icons not included.